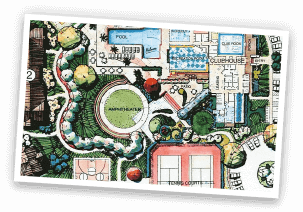 With decades of experience and hundreds of successful installations, The Recreational Group is well-established as a leader in home and backyard sports surfacing. 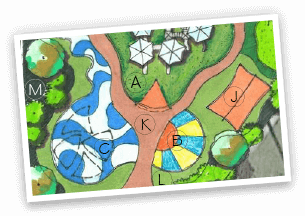 We utilize our design and installation expertise and incorporate the proven products of Tour Greens, VersaCourt and XGrass to produce an incredible backyard retreat for you and your family. Tour Greens designs and installs tour-quality synthetic turf putting greens that look, perform, and react like real bent grass greens. 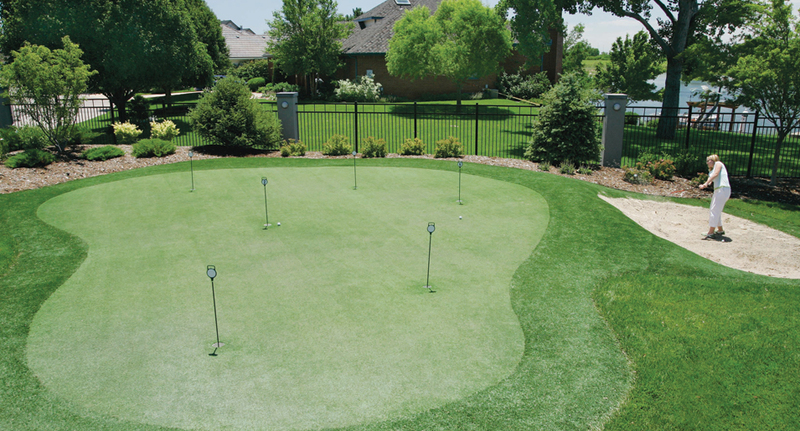 Our putting green systems can be customized to your preference with unique contours and realistic green speeds. 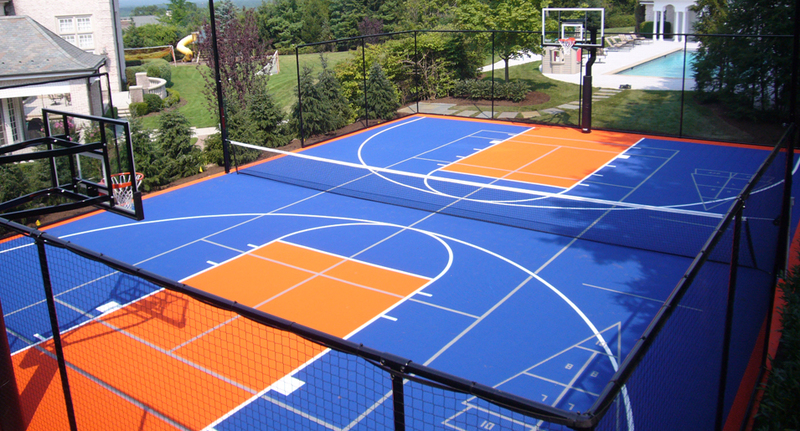 VersaCourt multi-sport game courts are the ideal surfacing solution for designing the ultimate recreational experience. With customized color, logo and game line options, VersaCourt makes it possible for homeowners to build an entire athletic complex in their backyard. 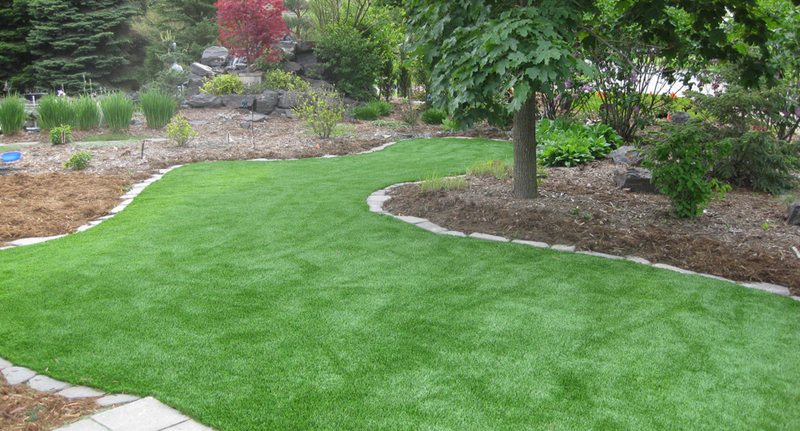 XGrass offers vibrant, environmentally-friendly landscaping for your home. Our synthetic lawn systems have the look and feel of healthy grass without all of the water, fertilizers and frequent maintenance. We also offer bonded rubber mulch surfacing for the beautiful, low-maintenance yard accents. 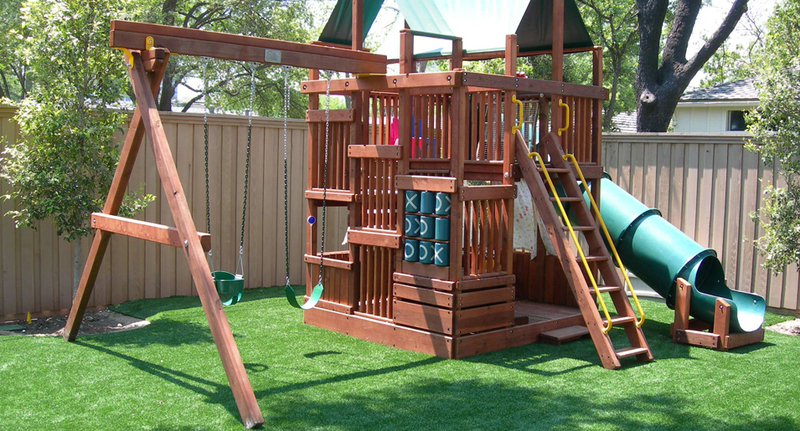 XGrass home playground turf looks and feels like natural grass. Each XGrass playground turf system is certified by the International Play Equipment Manufacturer’s Association (IPEMA), and features our SofPad safety underlayment pad for fall height attenuation.